Thieving Chief Shakumbila has sold 887 hectares of Land in Nangoma Area to some Chinese foreign nationals. The land in question was sold to some Chinese owned company called Golden Gains Limited for K3,500,000 but only declared K600,000 to Zambia Revenue Authority for tax purposes. 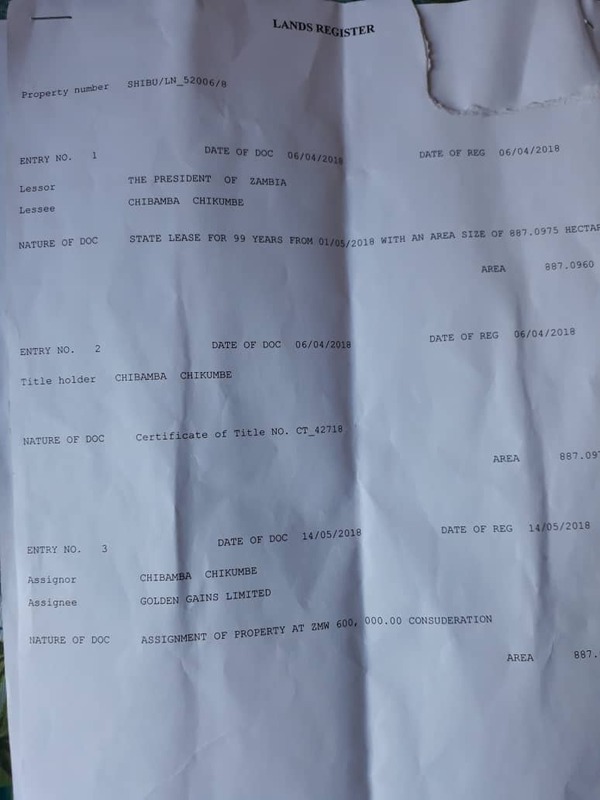 The 887 Hectares of land whose farm No is SHIBU/LN-52006/8, Certificate of title No.43791 was processed directly (Direct Lease) into the chief’s actual names of Chikumbe Chibamba on 6th April 2018 and immediately sold to Golden Gains Ltd for K3,500,000 but only declared K600,000 to ZRA for tax purposes. 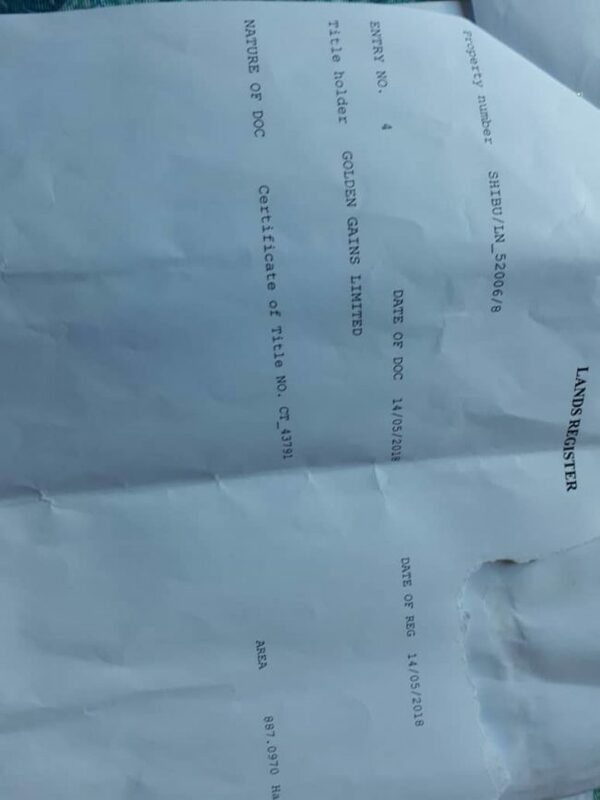 One month later on the 15th May 2018, ownership (title Deed) was then transferred to Golden Gains Ltd of Plot 2N/AD20, off Great North Road Lusaka. The chief is also processing another title deed into his name for another piece of land in Shibuyunji District whose details are F/11279 amounting to 39.48 Hectares of land for the purposes of selling it. Chief Shakumbila has gone on rampage secretly alienating huge parcels of land to himself without involving the subjects and then sells to some Chinese and Indian businessmen. This is his lucrative business now and all the transactions are now happening at Longacres lodge which has now been turned into his new Chisalu Palace. The man uses google earth to show the land to the would be buyers who then cash him without even going to physically inspect the land on the ground.